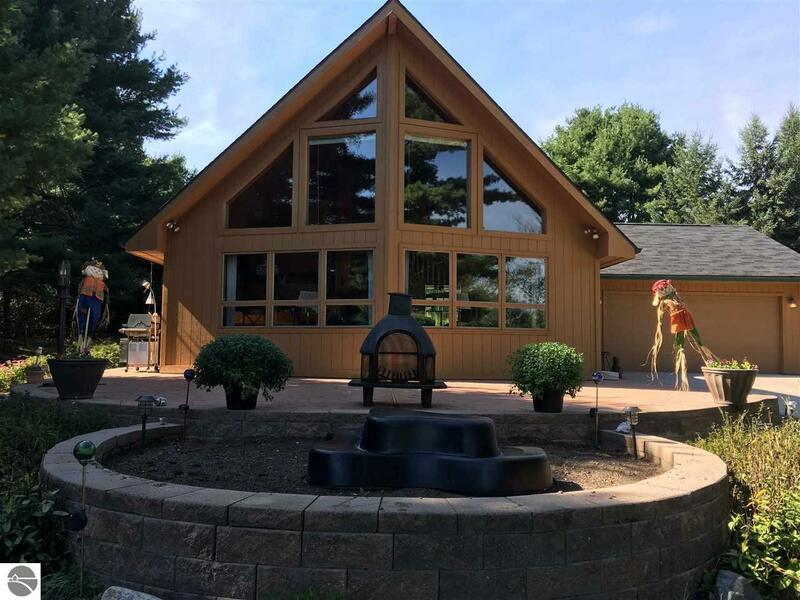 THE PERFECT UP NORTH GET-A-WAY OR YEAR ROUND HOME - Views of Torch Lake and near Torch Lake public access. 3 BR/2 BA Chalet style home. Open floor plan, vaulted ceilings, granite kitchen counters, hardwood floors throughout, natural wood fireplace, air conditioning, natural gas, 2 car attached garage, beautiful stone porch and much more. Build extra storage for all your "Up North" toys on your large 1.3 acre lot. Excellent location offers country living, yet close to shopping, grocery stores and golf. Elk Rapids Schools - "Where Excellence is a Tradition". Home Warranty Included.